One of the most powerful components of Salesforce is it’s ability to connect all types of software. For Sales Cloud and Service Cloud users, one of the most important connections is email integration. Logging activities, application switching, scheduling meetings all take time. 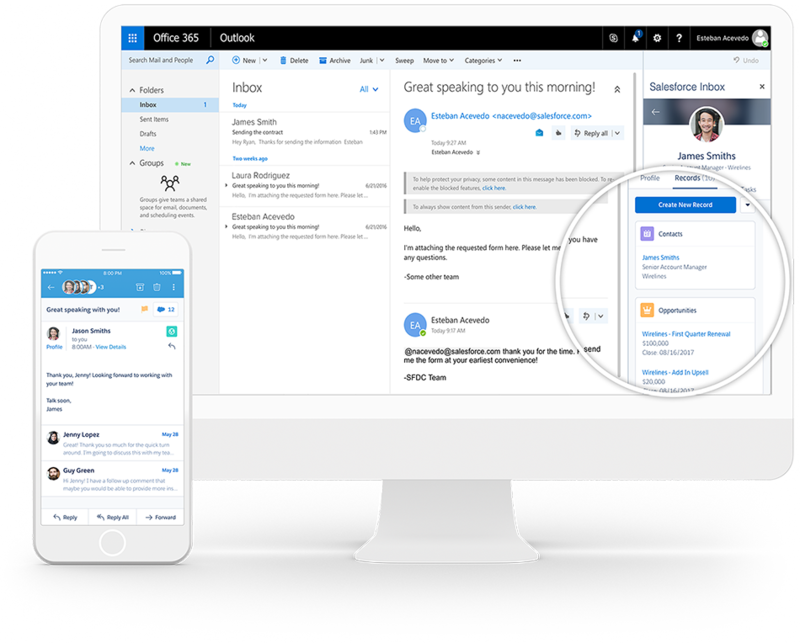 Efficiency is the key to success, and Salesforce Inbox provides the tools for your Sales reps or Customer Service Reps to focus on driving business and retaining customers. 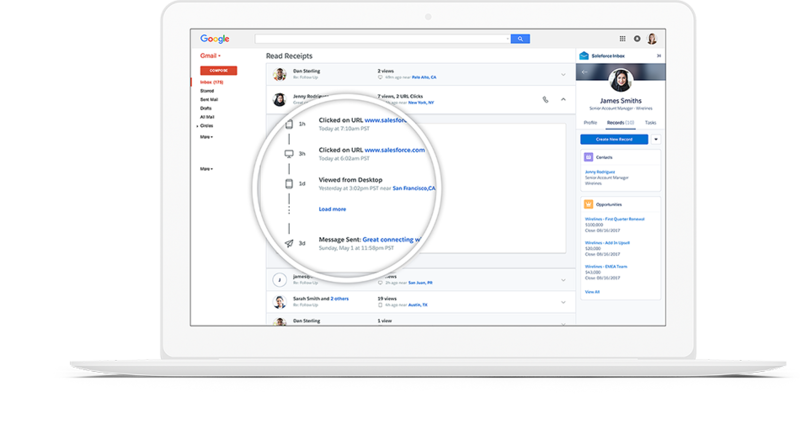 Salesforce Inbox brings relevant CRM data to your Inbox. This includes analytics on when your email was opened/forwarded. These analytics provide your Reps with data to create Tasks on the best way to follow up with Leads or Customers. Salesforce Inbox also intelligently pulls in social media profiles to users automatically for a 360 view of the relationship. 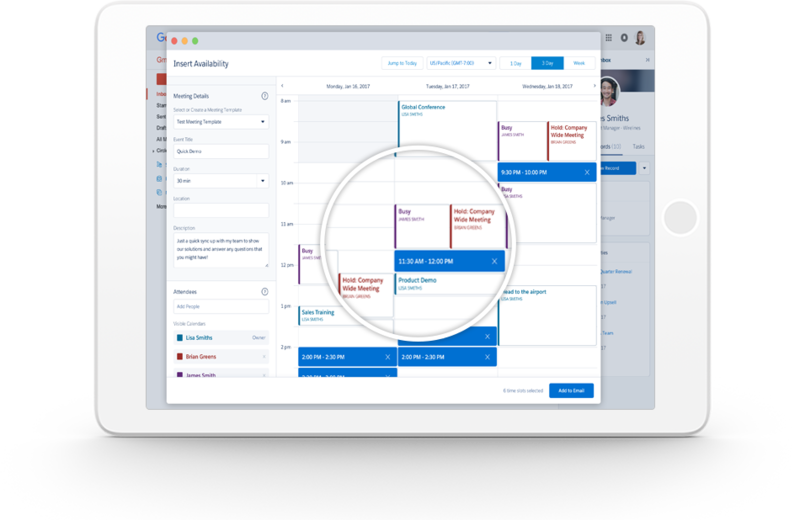 Salesforce Reps are able to send availability for any meeting at a click of a button. 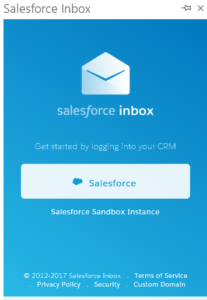 If a Sales Rep was to send their availability to two different clients and one client responds with the time they would like to meet, Salesforce Inbox will automatically create this event as well as block this time off on the other client’s availability email keeping your schedule update and organized. 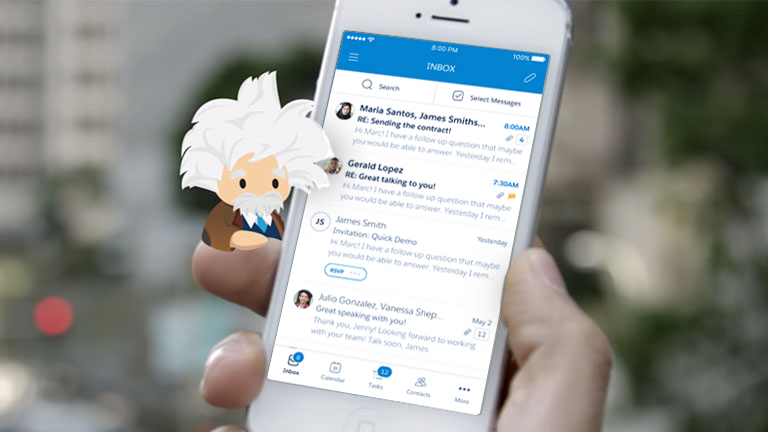 Please visit Salesforce.com for more information on Salesforce Inbox.